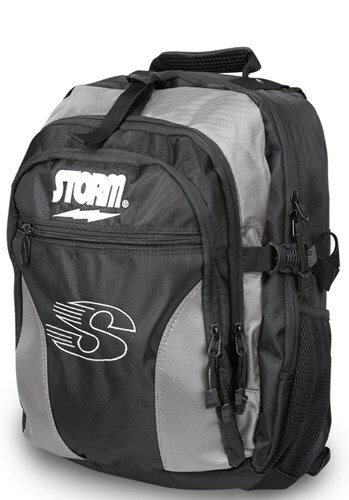 Hit the road with the Storm Deluxe Backpack! This bag has room for everything you need including space to fit a laptop, zip pockets for portable devices, pen holders and divider, drink pockets, and more! The sturdy design is made to stand up to the toughest travel conditions on all your bowling adventures! Due to the time it takes to produce the Storm Deluxe Backpack ball it will ship in immediately. We cannot ship this ball outside the United States.